A successful website is a set of strategies and techniques that together, leads to success. There are however no magic formulas. You must invest time, be ready to change approach if necessary and mainly to listen to the feedback that you receive from the users. Keen to Design is a Sydney based agency with a wide range of skills in web development and web design. We also provide website designing services for aged care homes. With our affordable website design services, your website will get good online visibility. 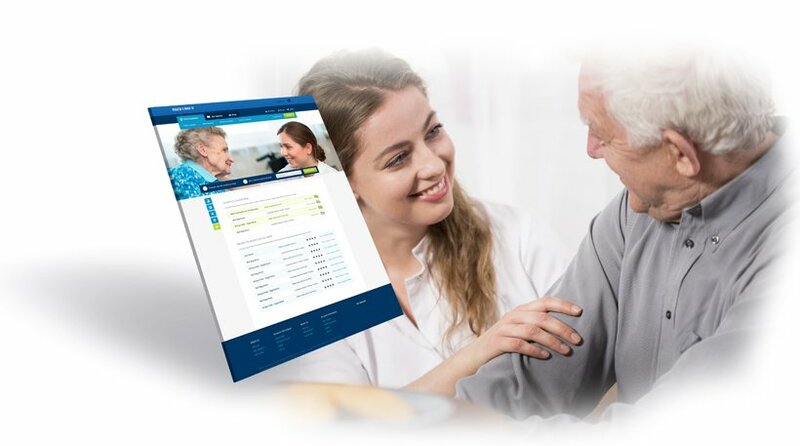 We create aged care website design that attract the target audience, pages with smooth navigation, using tags, and very well-organised information. So, what are you waiting for ask for your aged care home website design layout now or call us and talk about an affordable web design package? At Keen to Design want to show our difference and fully embrace our values of originality, humbleness, and fun. It is these values at our agency that allow us to work with our customers in a good mood and respect for each other. With us, you work with a team of people who are passionate about their work and who put people at the heart of its strategy by proposing innovative and useful concepts to help you stand your website design out from the rest and achieve your goals. Gone are the days when creating a website was a puzzle and where you had to have much programming and web design skills to try and get something out of the box. Today, anyone with basic knowledge can create a website from an online platform or a free content management system like WordPress themes. This democratisation of website creation has made the web accessible to all, allowing anyone to create their website and contribute to the sharing of information. As a result, there is an explosion in the number of websites created each day, which makes it harder for a new site to attract traffic and thus fulfil the initial objectives of promoting, selling, informing or even entertaining. We will, therefore, look at elements to consider when creating a website to avoid making the classic mistakes that will prevent you from achieving your goals. Start by describing the goals of your website – why are you building this site? Think about the goals of your organisation and the users. If you have specific and quantifiable purposes, you can include them in your specifications. An overview of the hierarchy of objectives, including supporting documents, gives the designer context and direction of the project and allows them to channel their creativity to produce the content and design of the site. Understanding what you want users to accomplish and find on your site also helps you plan a typical or desired visit from a user of your site. Navigation and content are part of the users’ visit, keyword search, landing pages, and more. These elements are critical and are probably the most difficult to deploy successfully, so it is worth mentioning them again. Think about the navigation levels you need and how they affect the pages. By convention, several links are generally at the bottom of the page, so visitors expect to find current information on this location (careers, media, partners, and others.). All content should be developed according to your markets and not according to your organisation or you. Who are they? Moreover, what are they looking for? Do not prepare tons of pages or lengthy descriptions of your team and history unless you believe visitors are visiting your site for that specific reason. Every page, every word you use should have added value. You may not know, but the font size you choose for your website may have a psychological impact on your visitors and dramatically affects how they think about the design of your site. A website design is just adding a font or text and call it a day. In designing your website the first step is to choose the font size of your site for people to get to know your business. Be consistent avoiding too many different font sizes and opt for ease and legibility over big and sizeable fonts size. All visitors to your website are not interested or have time to browse the entire site. So, therefore, it is essential to put vital information in a simple place in an easily accessible area. We all have at some point in time had the experience of not finding the information we needed on a particular website, and the outcome is not always good. For that reason, visitors will not stay long on your site and will probably not return, let alone business with you if your website lack what they need. The design of a website usually starts with the design of the homepage. However, your marketing efforts should ensure that visitors come to your site through a variety of pages, depending on their intent. Think about the web in general and not just about your site when you think of a typical user’s visit. Landing pages should reflect what you know about visitors to your site and their intent. If visitors to your site come to a specific product page, consider what navigation elements are necessary for them to continue visiting your site: links to similar pages, category links, or links to related information. You might also want to focus their visit on a particular task or topic. Landing pages and search engine optimisation are interrelated. The architecture of your site should reflect the search habits of visitors. Are visitors looking for dog beds by colour, fabric, size? Are the search criteria combined? By creating a natural and intuitive hierarchy, visitors to your site can access the most relevant information from a search engine. If your competitors have a landing page for a particular piece of information, this is an opportunity for you to get a better rank. Today almost 3.8 million people use smartphone or tablet to surf the internet, so it is essential to consider these new ways to surf the internet at the time of the designing your website. In 2014: 58.8% smartphone and 39.6% tablet. The latest web revolution is Responsive technology; this technique allows to adapt the display of the site depending on the type of device used and the size of its screen. The same website has a layout which will automatically adjust to your display. Using a significant, high quality and beautiful images in the foreground as well as in the background of your website is one of the critical design elements of an aged care website today. The trend is to present key and clean content using beautiful typography on full-width backdrops. Photo and graphic design ultimately play a much more significant role in web design than ever before, and they deserve it. In the vast majority of cases, a website not optimised SEO will not appear in Google searches on keywords other than the name of the site or the company itself. For this reason, it is essential to improve SEO continually and to establish an SEO strategy from the start. Otherwise, there is a good chance your site has very few people. Even with all these elements together, your website will not be fully active until trust is established. You could have the best blog posts, the most significant number of Facebook fans, tweets or other, but if people do not trust your company none of this will have the desired effect, so this is a point not to neglect. Getting the trust of users can be long and requires you to follow a few rules, but it is a crucial step. Now that you are ready to work on the design of your website do not forget to contact Keen to Design to find your web designing solution that meets your needs.